« WIP CAL/KAL – Start of Month Two! As some of you may know, I have had several crochet designs sold to and published by Cascade Yarns. I am currently working on a project for them which uses a multi color yarn and that made me think about color changing yarns and which ones work well for crochet. One of the main differences between knit and crochet are the stitches themselves. While both crafts provide hundreds of different stitch combinations to create different patterns and textures, knitting does with with stitches of equal height, while variations in crochet stitch height and combinations of stitch height means a crocheter uses the yarn differently. When it comes to color-changing yarn, this can be a problem. If the color transitions are short, stitches can create an undesired blotchy effect with the fabric, often colorfully referred to as clown barf. Face it, it just does not look pretty, and we either give up on the pattern and the yarn languishes away in a forgotten corner of the closet, or the yarn is frogged and put away, never to be used again. We’ve all been there, and it is just a part of crafting. There is a way to deal with yarns like this and I’ll bring it up in a future post. However, today I want to talk about yarns that are not a problem. Over the past several years, yarns with long color transitions have arrived on the market, and these are great for crocheters! I’d like to introduce you to some of my favorites. 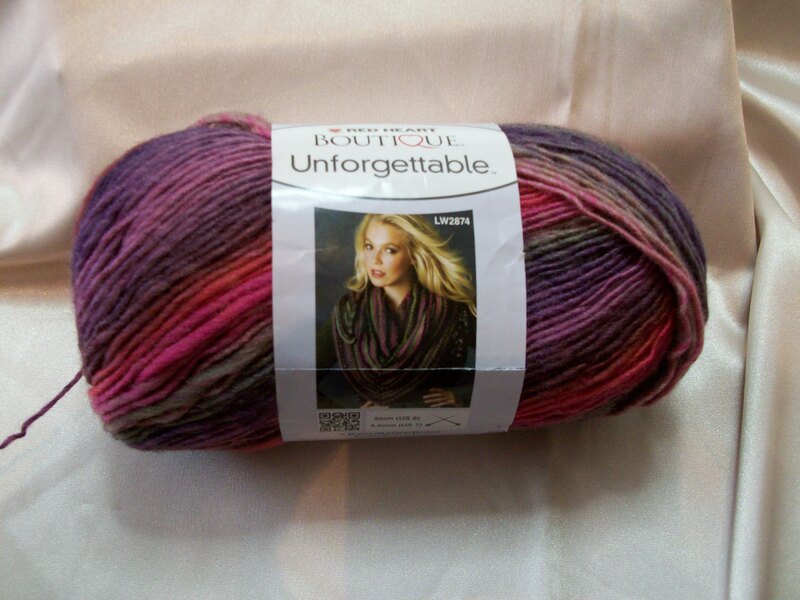 The first three yarns are available in big box stores like JoAnn’s, and Michaels, as well as local craft stores in your area. They are Amazing by Lion Brand Yarn (top), Unforgettable by Red Heart Boutique (middle), and Midnight by Red Heart Boutique(bottom). All three feature the slow color changes that work great for crochet. An example of those slow color changes can be seen in this sample I stitched for a class, using the Red Heart Boutique Unforgettable. The color change of the yarn creates a striping effect when worked in the round, with the colors blending seamlessly from one to another. Since I’ve done several crochet patterns for Cascade Yarns, I’m quite familiar with the properties of their long color changing yarns as well. 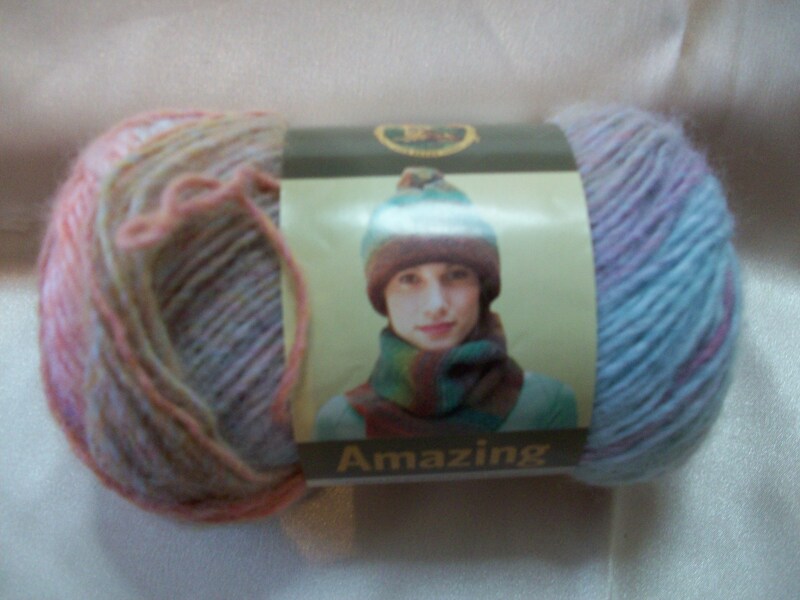 Casablanca was one of the first long color change yarns that Cascade Yarns introduced. 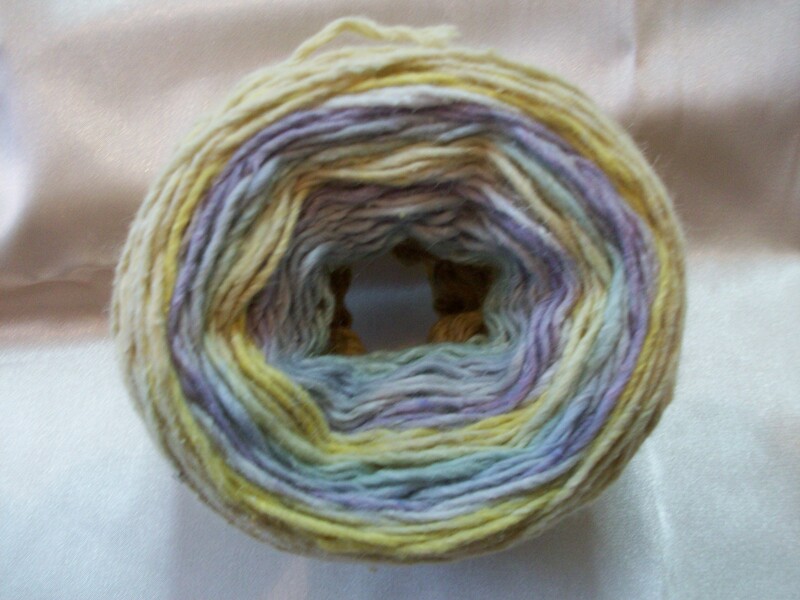 While in skein form it may be hard to see how the yarn transitions, but once it is wound into a cake, you can get more of a sense of how the yarn will stitch up, as seen in the picture below. 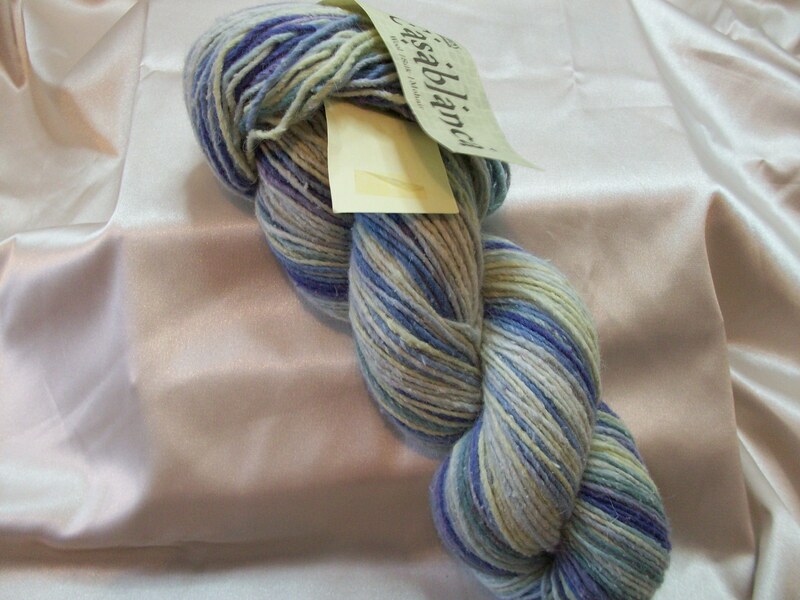 Other yarns by Cascade that include long color transitions include, Souk, Tangier, and Pinwheel. 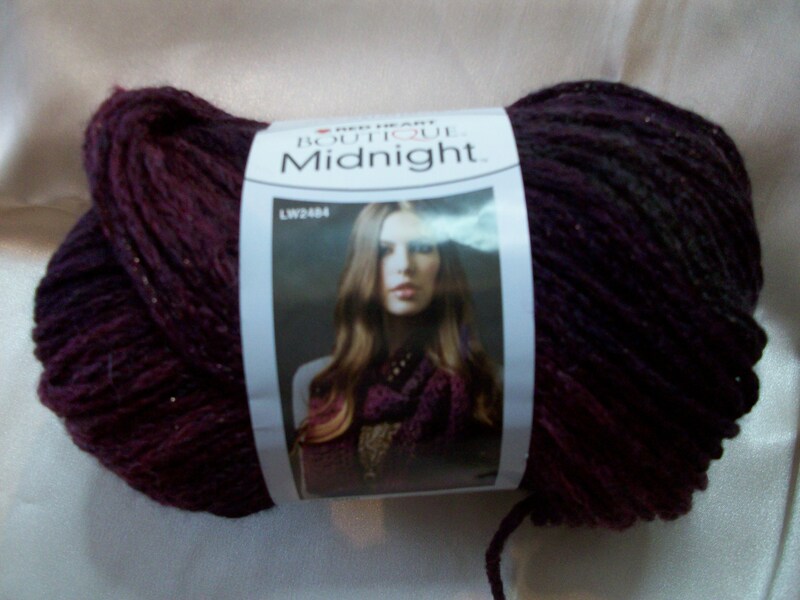 One of the newer yarns by Cascade that features a mid-length color change is Avalon Multi. I’m currently working on a new pattern for Cascade with this yarn, and they gave me permission to show a close-up of the stitch pattern to show you how the color change works with the stitches. 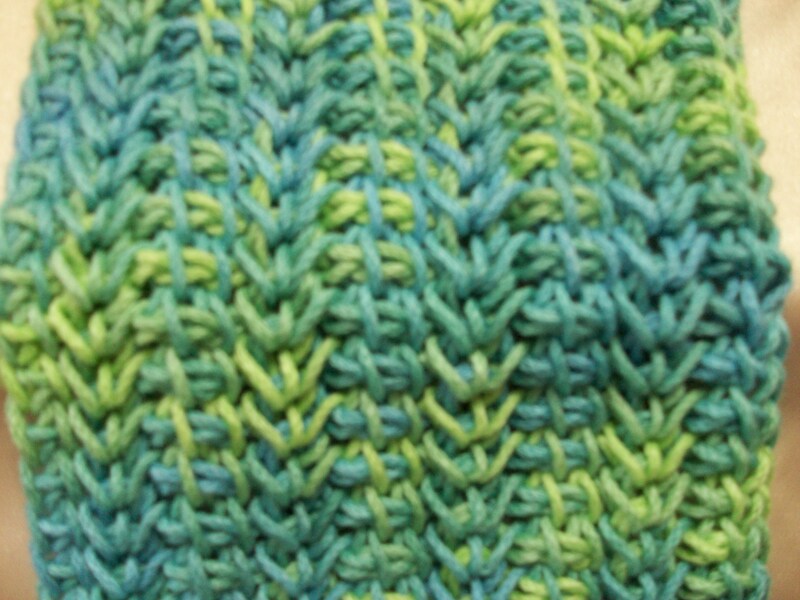 See how that lime green seems to zig-zag among the stitches? I love the interest it brings to the pattern. How did I get it to travel like that? Swatching. It took experimenting with total number of stitches along with different hook sizes before I found what I liked with the stitch. It’s that swatch experimentation that is some of the best advice I can pass along when it comes to color changing yarns. You have to see how the color behaves within the fabric you are creating to make sure it is what you want. A little (or a lot) of swatching at the start can save you lots of heart-ache later down the road when you just want to give up on a pattern because it isn’t right. 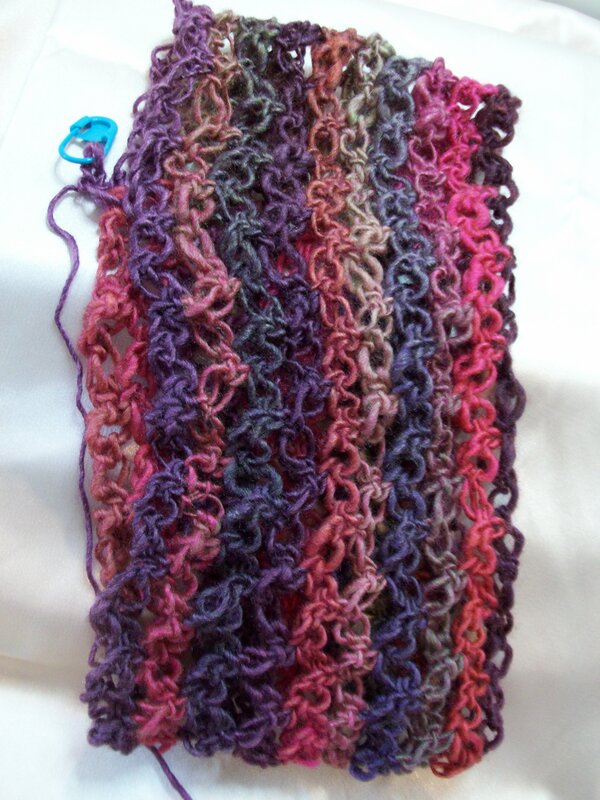 Sometimes you may buy a yarn thinking it is perfect for a pattern, but after a quarter way through, you hate it. It isn’t the fault of the pattern, and it isn’t your fault either. It’s just that pattern and yarn aren’t a right fit. Swatching beforehand will help fix some of that, and will help you find the right yarn for the right pattern. Yarns with long, slow color transitions work great with crochet because the color transitions don’t fight the variety of stitches that are used. Swatching with your yarn in the stitch pattern will help you figure out if your yarn is right for that pattern, saving you lots of heartache later on if it isn’t. Let me know if you have other favorite long color transition yarns to add to the list. I know I didn’t cover them all! Thank you for the info. I know it will come in handy soon!! !